Product information "iM880B-L LoRaWAN - Long Range Radio Module"
The 'iM880B-L LoRaWAN' is a compact and low-cost radio module that operates in the unlicensed 868 MHz band and combines a powerful Cortex-M3 controller with the LoRa® transceiver SX1272 of Semtech Inc. A sensitivity of up to -137 dBm and a maximum output power of +19 dBm result in a link budget of more than 156 dB. Even when reducing the output power to +14 dBm ranges beyond 12 km are possible in free space. The 'iM880B-L LoRaWAN' is pre-certified according the European RED guideline and can be soldered like an SMD component. 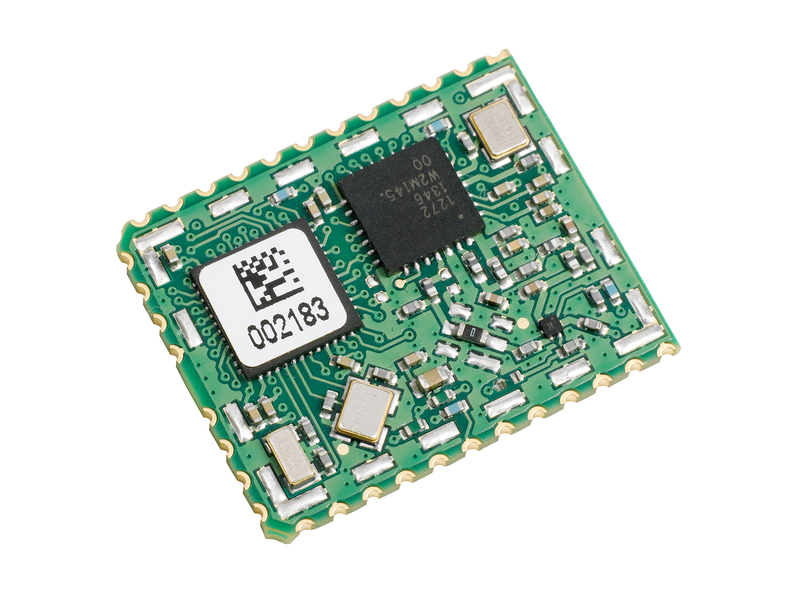 The 'iM880B-L LoRaWAN' includes an embedded protocol stack which allows the setting of six orthogonal spreading sequences, four error correction schemes and three signal bandwidths and thus offers the user a high degree of flexibility. Furthermore it provides various options for configuration and communication via the serial interface. In addition, it is possible to integrate customer specific applications on request. LoRaWAN™ is a trademark of LoRa Alliance™, LoRa® is a registered trademark of Semtech, Inc. Microsoft Windows®, Microsoft CE® are registered trademarks of Microsoft, Inc.
Related links to "iM880B-L LoRaWAN - Long Range Radio Module"
Customer evaluation for "iM880B-L LoRaWAN - Long Range Radio Module"